This is a ET marked M42 and bears the 2nd pattern SS decal which is correct for this maker at this stage in the war. 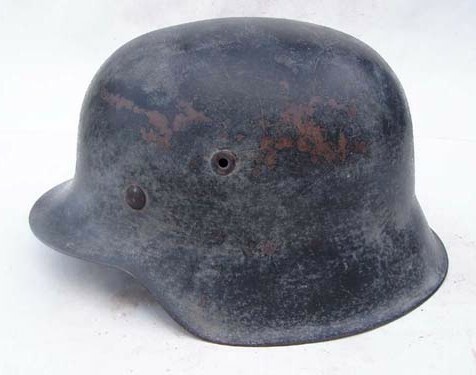 This helmet has been heavily aged to appear like a vet bring back. 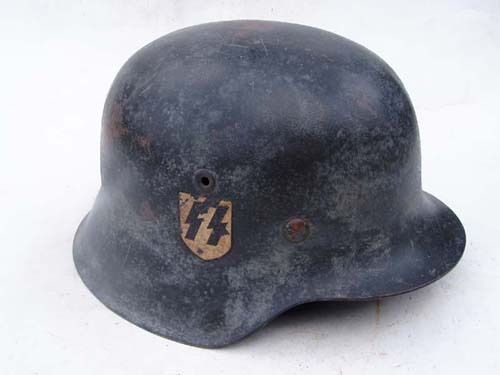 The helmet shows heavily battle damage as well as storage wear.